Titan provides products and services to customers all over the globe. It has never been more important to maintain your critical power supply. Your systems and data are too valuable to risk it. Titan’s highly skilled technicians can ensure your emergency power system is functioning properly and will provide power protection when needed. Titan is a complete service provider. From consultation and design to long-term service and maintenance. Call centers, data centers, computer rooms and mission critical facilities can be very specialized. Ensure the design is done the right way the first time. Titan’s highly trained team has decades of knowledge in designing and building secure, efficient and cost effective data centers. Our Project Management process will walk through each aspect of your project. We will ensure your project is completed to meet the needs of your organization and is cost effective. You want the assurance that when your critical power system is needed it will perform. Titan provides 24×7 full service maintenance plans, 8-5 full service plans and custom service plans to fit your specific needs. You will receive detailed field service reports documenting all work done and recommending any action necessary to keep your critical systems running without interruption. Our customers rest easy knowing Titan has services and performance tested their equipment. From battery testing, load bank capacity testing, thermograph scanning to equipment and generator testing Titan has you covered. With real time monitoring software Titan can view your batteries performance remotely. As your facility grows, a single integrated system allows the monitoring of all your systems. Our mission is to ensure your valuable data & systems are protected. Giving you peace of mind for all your critical backup power needs. With real time monitoring software Titan can view your batteries performance remotely. Giving you the peace of mind that your critical power system will be there when needed. As your facility grows, a single integrated system allows the monitoring of all your systems from a central location. 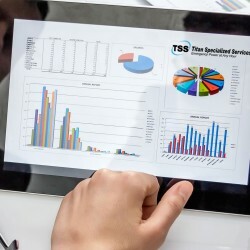 Let TSS monitor the integration of your UPS systems, power distribution units, air conditioning, fire protection systems, water leak detectors, generators, and battery plants. We offer monitoring solutions for equipment from virtually every manufacturer. Mr and Mrs White, … I work with Michelle on a regular basis and she is a pleasure to work with. She has a great attitude and I feel is a positive representative of your company. I also work with LaVone. I have nothing but positive things to say about her. She is a very easy person to work with. Merry Christmas & Thank you from Interstate Powercare. If it has to do with your critical power system, Titan can handle any situation and provide 24/7 Emergency Service. 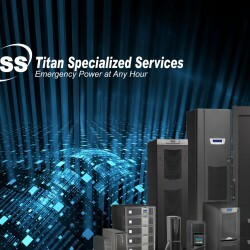 We are very happy with Titan’s services and recommend them for your concierge solution for all your power system needs. If it has to do with your critical power system, Titan can handle any situation and provide you the latest technology to handle all your UPS Service needs & more. We are very happy with Titan’s services and recommend them for your concierge solution for all your power system needs. TSS will be participating at the AFCEA Homeland Security Conference April 22-24 in D.C. at the Ronald Reagan Building and International Trade Center. We will be showcasing our BattDAQ (TM) battery monitoring solution and invite you to stop by to visit us.